Santa Monicans For Open and Honest Development Decisions says the Los Angeles County Registrar of Voters and Santa Monica City Clerk Sarah Gorman has approved the Voters Decide Charter Amendment for the November ballot. After Santa Monica voters submitted an unprecedented 15,700 signatures in June to place the Voters Decide Charter Amendment on the November ballot, the Los Angeles County Registrar of Voters was required to examine and validate the signatures. The announcement ensures that Santa Monica voters will have a chance to be consulted before any decision by politicians to redevelop 227 acres of low-density airport land can go into effect. 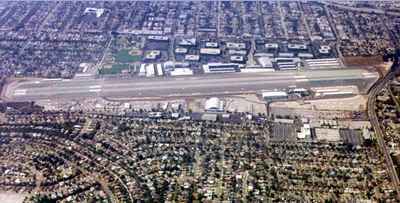 Jerabek noted that the low-density land use at Santa Monica Airport protects the community from higher-intensity development that would add to Santa Monica’s well-known traffic problem. Just as importantly, airspace restrictions around Santa Monica Airport protect residents from the development of high-rise buildings within many miles of the field in all directions. Voter approval will be required for any City plan to change the use of low-density airport land for non-aviation purposes. Unless voters approve such a change, the City shall continue to keep airport land in low-density aviation use. The Santa Monica City Council has been struggling with how to respond to the Voters Decide Charter Amendment. They remain opposed to a clear and simple requirement for voter approval and are expected to place a competing measure on the ballot in an attempt to confuse the voters with a complex scheme that ensures that decisions can be taken while evading voter approval. The Santa Monica Voters Decide Initiative is being led by Santa Monicans for Open and Honest Development Decisions. The committee believes the City and airport opponents have not been forthcoming with voters and taxpayers about redevelopment and land-use plans for the valuable airport property. The group has been supported financially by AOPA and NBAA along with support from local businesses, residents and pilots.